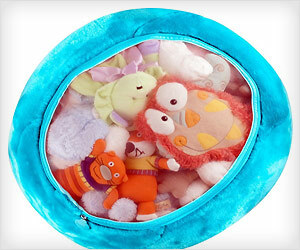 Kids love stuffed toys like plush bears, bunny, rag doll cat, cute dogs. Over a period of time, there are lot of stuff toys in the house to manage. Generally they are scattered all around giving sick feeling to organized folks.